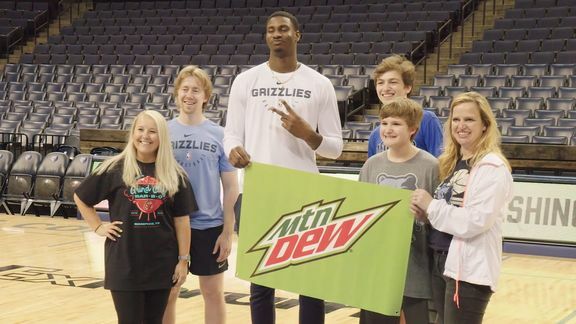 MEMPHIS – Jaren Jackson Jr. can’t count how many times he’s heard basically the same thing. He’s heard it over and over, from basketball coaches and analysts at every level about his talent and potential. From youth league coaches to the NBA’s Gregg Popovich, Rick Carlisle and David Fizdale, they’ve all reached the same conclusion after seeing Jackson impact a game. They appreciate Jackson’s production in the moment. They salivate at the limitless heights of his upside. And then they offer what, to Jackson, barely registers anymore as a compliment. Following Jackson through his first months in the NBA has required keeping up at a record-setting pace. Emerging from a breakout November and heading into December, the 19-year-old power forward has already lived up to most – if not all – initial expectations. Honestly, he's exceeded many of them for his rookie year. He already plays both ends of the floor. He’s got an offensive package. He can play from different ranges. He blocks everything at the rim. He can switch onto people. He’s a serious talent. Jackson’s meteoric development, Mike Conley’s productive return from heel surgery and Marc Gasol’s resurgence as arguably the league’s most versatile center have all fueled the Grizzlies’ 13-9 start entering Wednesday’s game against the Clippers. On Thanksgiving, the Grizzlies sat atop the West standings after a 12-5 start. By Christmas, they hope to remain firmly among the West’s top contenders following a stretch that includes eight of 13 games on the road. And come New Year’s Day, the Grizzlies’ resolve to return to the 2019 NBA playoffs. 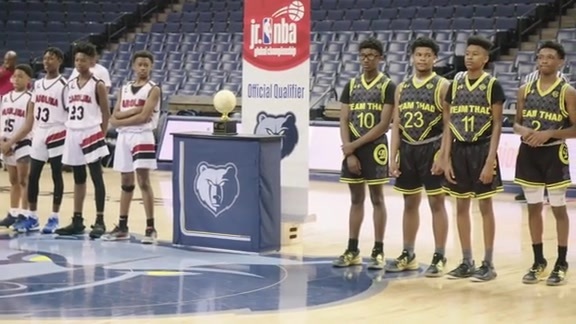 Memphis didn’t wait for the holiday season to unwrap a gifted prospect in Jackson, who keeps on giving with a big-time game, enormous work ethic and gigantic smile. Picked fourth overall after a decorated freshman season at Michigan State, Jackson is one of only three rookie lottery picks currently starting on a team with a winning record. Through his first 20 NBA games, Jackson became just the fourth player in NBA history to score at least 250 points, block 40 or more shots and make at least 20 steals. The three others are Hall of Famers in David Robinson, Patrick Ewing and Bill Walton. Those are lofty footsteps to follow, but Jackson has taken some impressive early leaps in what should be a long and productive NBA journey. The Grizzlies have lost four of their past five games, but Jackson’s progress has been a platinum lining. During that same stretch, he’s averaged 18.6 points, 5.2 rebounds and 2.8 blocks while shooting nearly 60 percent from the field overall, 50 percent on threes and 90 percent from the free-throw line. There are just varying opinions on who would be best for those top four spots, best with this team or that team, things like that. Jackson has shown it right now, why he was a high pick. It’s not a fluke. The guy is a very, very good player overall and a first-rate defensive player. His raw numbers from the season overall barely jump out, but the 6-11 freakishly athletic phenom is becoming an advanced metrics superstar. And that’s where Jackson’s production compares most favorably to his lottery peers. His overall defensive rating, which charts his team’s impact per 100 possessions when Jackson is on the floor, was a drastic 10 points better than No. 1 pick Deandre Ayton’s in Phoenix. Jackson’s offensive rating was higher than both Sacramento No. 2 pick Marvin Bagley and No. 3 pick Luka Doncic in Dallas. Meanwhile, Atlanta’s Trae Young was the draft’s most prolific three-point shooter, but Jackson’s accuracy beyond the arc was nearly 10 percentage points higher than that of the No. 5 pick. Carlisle, the Mavericks coach, admitted his front-office staff strongly considered targeting Jackson before ultimately striking the draft night deal for Doncic, who was named Western Conference Rookie of the Month. Popovich echoed a similar sentiment about Jackson being an ideal fit for the Grizzlies, especially alongside Gasol. 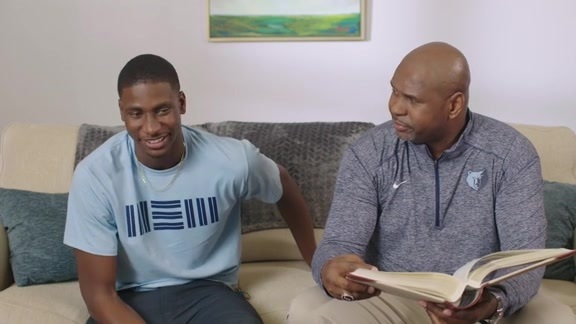 It was Jaren Jackson Sr., a role player on the Spurs’ 1999 NBA championship team, who compared the Gasol-Jackson Jr. dynamic to what he saw in San Antonio when a young Tim Duncan arrived to play alongside the veteran Robinson. Despite some breakout performances, Jackson is still sorting through growing pains with his NBA indoctrination. Some of the fouling issues that limited Jackson’s minutes in college have resurfaced to also plant him on the Grizzlies’ bench at times. Through those same, impressive first 20 NBA games, Jackson was disqualified on fouls once and had five fouls in eight other times. These are ongoing lessons – with a few harsh rebukes – from coach J.B. Bickerstaff on Jackson needing to improve timing and technique. Bickerstaff has also said Jackson is sometimes an unfortunate victim of the NBA’s increased emphasis on rules protecting an offensive player’s freedom of movement. Finding that balance between defensive aggression and avoiding contact has been the hardest part of the NBA to figure out. Conley often sees Jackson making those tweaks, mentally and physically, on both ends of the court. Sometimes, literally on the fly during games. I don’t get caught up in the whole potential, how-good-can-I-be, when-I-can-be-it thing. I’ve been hearing that since I was 13... It’s just a compliment of the work you’re going to put in and the work you’ve been putting in. Just stay the course, do what you do and everything should follow along. Jackson is already good enough to have become the third-youngest player in NBA history behind LeBron James and Kevin Durant to score at least 36 points in a game, which he did last Friday against the Nets. He’s also already good enough to have become only the third player in NBA history to knock down four three-pointers and block seven shots in the same game, like he did the previous week against the Knicks. And he’s also good enough already to have become the Grizzlies’ first rookie since Pau Gasol in 2002 to post a double-double along with five blocks, which Jackson did the week before that against the Jazz. That unique impact started from Day One of the season when, a month after his 19th birthday, Jackson became the youngest player in franchise history to appear in a game. He had 10 points, five rebounds and three steals in that Oct. 17 season opener at Indiana. To help place Jackson’s initial NBA impact into perspective, Gasol reflected on his own role as a 19-year-old professional basketball player. Gasol was an understudy on elite Spanish league teams and also a member of the national team – yet, still a few years away from landing in the NBA with the Grizzlies. So consider sparing Jackson at least one specific compliment. Fact is, he's discovering daily how good he can be.